IndianOil is India’s flagship Maharatna national oil company with business interests straddling the entire hydrocarbon value chain. IndianOil’s business includes refining, pipeline transportation, marketing of petroleum products, Research & Development, Exploration & Production, and Marketing of natural gas and petrochemicals. By venturing into Renewables and Nuclear Energy, the company has grown and evolved itself from a pure petroleum refining and marketing company to a full-fledged energy company with 33,000 employees. IndianOil is India’s largest commercial enterprise and the leading Indian corporation in Fortune’s prestigious ‘Global 500’ listing of the world’s largest corporations. Being one of the world’s largest corporations keeps its management team and Board quite busy. The Board of Directors comprises 13 members who meet monthly. Additionally, there are 13 Board Committees, with meetings held on a regular basis. Board members need to receive and review board papers ahead of each meeting, which means the Board pack needs to reach every Director seven-days in advance. To make this happen, two people working four days of each month were appointed to prepare the immense amount of papers (approx. 6000 pages) needed to be printed and distributed. This was not an eco-friendly or efficient and secure way to produce board materials. The Board packs were hefty and heavy. Furthermore, it was a huge task for some of the Directors, especially those who sit on multiple committees to attend meetings and carry these heavy loads of paper. 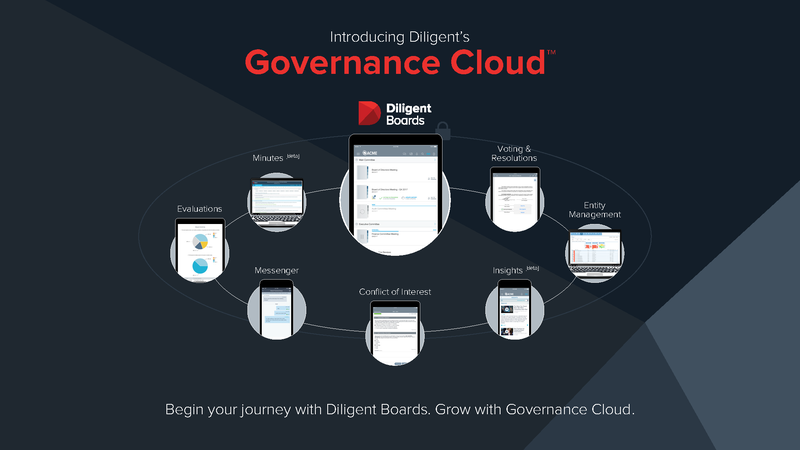 So, they were more than happy when in mid-2016, they went digital with Diligent Boards™ taking the helm. Raju arranged for hands-on training for the Directors with the help of the Diligent Customer Success team. “It only took 30 minutes for our Directors to master the Board Portal since the system is so simple and easy-to-use,” remarked Raju. On the day of the first live board meeting, June 28, 2016, Diligent’s customer support team were on high alert to ensure a successful meeting.